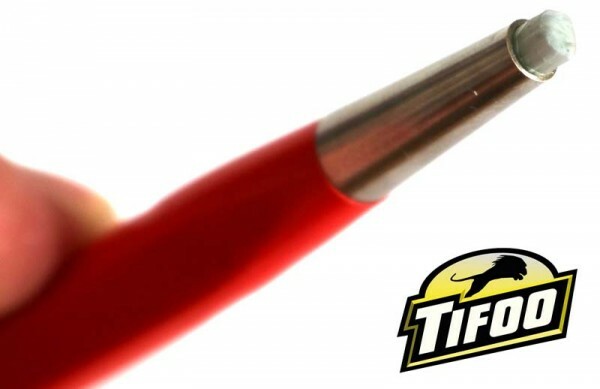 Product information "Fibre glass eraser / fibre glass pen"
The fibre glass eraser from Tifoo is versatile in its use. This tool allows you for example to remove rust and patinas very quickly - and to make every metal shine. Additionally, the fibre glass eraser can be used for many purposes, e.g. restoring of the electric conductivity of contact units (oxidized connecting sockets), the preparation of soldering joints and polishing and grinding spots that are normally hard to reach. The fibre glass reaser is easy to use and the brushes can be exchanged and adjusted quickly. The fibre glass brush is also suited for erasing paper and (plastic) films. Related links to "Fibre glass eraser / fibre glass pen"
Customer evaluation for "Fibre glass eraser / fibre glass pen"